Striata today announced its certification of the Payment Card Industry Data Security Standard (PCI-DSS), for its Grade 1 infrastructure in the UK. “This is a significant security milestone for Striata, as it means that our premier clients can rest assured that all their sensitive customer information is secured in line with one of the strictest industry -recognized information security standards in the world,” says Michael Wright, CEO, Striata. Barclaycard recently went live with Striata’s innovative and secure ‘Push’ email statement solution. Wright explains that PCI compliance means Striata is not only providing Barclaycard clients with secure eStatements; but that the entire process meets the PCI-DSS security standards. PCI DSS is a proprietary information security standard for organizations that handle cardholder information for the major debit, credit, prepaid, e-purse, ATM, and POS cards. The standard was created to increase controls around cardholder data to reduce credit card fraud via its exposure. Validation of compliance is done annually by an external Qualified Security Assessor that creates a Report on Compliance. Striata is committed to the security and confidentiality of sensitive data by meeting the physical security requirements of the PCI standard. 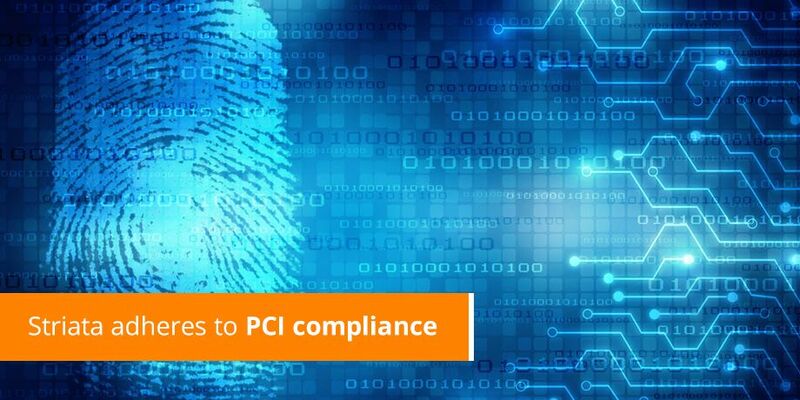 “We have gained considerable knowledge and experience on how to effectively deploy a PCI environment and get it certified, so more of our clients and their customers can benefit from this strict information security standard,” concludes Wright.